What is meant by “safe” water? And, how does PWW work to bring safe water to communities? World Water Day is this Friday, March 22nd! 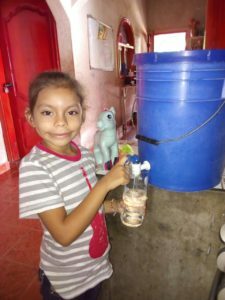 We are working to continue to provide you with insights about what goes into implementing sustainably safe water programs in underserved communities. You can access our series of blogs for World Water Day 2019 by clicking here. You may hear it referred to with a variety of adjectives…safe water, clean water, potable water. In the end, they all mean water that is suitable for drinking/consuming (first and foremost), for cleaning with, and for bathing in. We frequently use the term “safe” in our communications to really drive the message that we are committed to providing WASH (water, sanitation and hygiene) programs that will result in water that is truly healthy for human consumption and usage. What does it mean for water to be “safe”? Safe water has another meaning, too. It means having equal access to water, without barriers, limitations or risks associated with social constructs, such as income, religion, creed, gender, sexual orientation, age, or physical ability. We know that technology alone does not guarantee water safety. Two weeks ago we introduced the concept of the Multi-Barrier Approach to safe water programs (see image below; read blog). 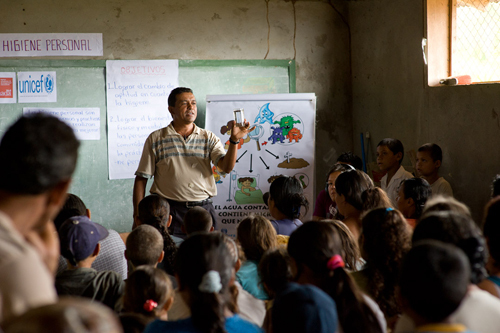 Our comprehensive WASH (water, sanitation and hygiene) implementation and educational training programs incorporate all five steps of the multi-barrier approach. Community members are empowered with the knowledge to effectively support the prevention of water scarcity and water pollution in their own communities. Families, teachers and other community members learn important water filtration techniques and gain an understanding of effective technologies to use. Our teams provide education and resources about disinfecting filtered water, to reach the optimal level of safety. They also teach about the importance of properly handling treated water that is stored for future use, to keep it protected from the reintroduction of contaminants, as well as the importance of managing water usage and consumption in a safe manner (ie. using glasses and utensils that have been properly cleaned). In the United States, and other developed countries, most of us do not have to conduct (or even consider) these steps to feel confident that our water is safe for consumption and usage. However, in the underserved communities in which we work, these steps are critical to the long-term success of WASH programs. To help ensure that communities are experiencing this success, PWW teams regularly go back to conduct follow-up assessments and water testing. This helps to identify any areas in which a community may need additional training or support. The ultimate goal is that community members are correctly and consistently utilizing the water and sanitation tools and practices and experiencing lasting change. When everything is in place and safe water is realized in a community, children are able to go to school and achieve an education. Adults are able to take care of their families and work to create an income. 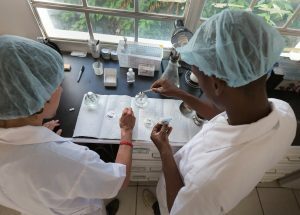 Medical expenses are drastically reduced, and medical professionals are able to shift from focusing on treating acute waterborne illnesses to proactively providing more preventative and long-term healthcare. 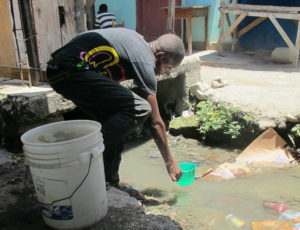 Communities can mend and begin to prosper thanks to access to this most basic human necessity…safe water. If you want to help reach World Water Day’s 2019 goal of “leaving no one behind” please consider making a donation. Just $25 brings a lifetime of clean water for one child; $300 changes the future for an entire family. Donate here. Uncategorized #LeavingNoOneBehind, #WorldWaterDay, #WorldWaterDay2019, safe water, WASH program. permalink.